Sony has just taken advantage of its presence at CES 2018 to present its new Xperia XA2 / Ultra and Xperia L2, mid-range smartphones that we think are inviting to reflection. It is inevitable not to be surprised at the presentation of a few hours. Not for the novelties in the design, but precisely for the opposite: the absence of them. In a market conquered by the trend of screens (almost) without frames and the threat of the disappearance of the Start button, Sony seems to ignore the rest of the industry. Their phones have maintained the same aesthetic for many years, and are among the few that have reused the same lines over and over again. Other manufacturers have inherited design features, of course: the iPhone 6 at the end of 2014 is basically identical in its lines to the iPhone 8 introduced a few months ago. Even so Sony goes even further and remains faithful to a few lines with an insistence that grated on the obsession. It is true that on the one hand it is almost reassuring that Sony is not an easy prey to market trends, but on the other it can also be problematic that they do not accept real practical improvements that industry and users have seen, for example, on those screens with only frames in the that we have more information on more compact phones. In fact, that traditional rectangular appearance and with little room for curved corners could remain a hallmark of Sony, who nevertheless seems not to want to know anything about other aspects such as the use of the mentioned frames without frames – this door may be open after all – or others raised with the iPhone X and it seems that other manufacturers seem to want to integrate. In mid-range phones like the ones just presented is soon to talk about facial recognition or its potential rival this year, the fingerprint reader under the screen. However, Sony seems again too conservative in this area, although yes, there is a striking novelty in these models presented today, which for the first time offer that sensor footprint in the United States, and also do it in the back and not in a side button as had been the norm so far. Sony is one of the few “big” manufacturers that continues to bet heavily on a layer of personalization in which the user experience changes sensitively with respect to other models. It is true that there are other manufacturers who also continue to defend those layers (Samsung with Touchwiz, Huawei with EMUI or Xiaomi with MIUI are among the best known), but all of them are less and less aggressive when it comes to differentiating the experience with respect to Android pure. Here Sony could perhaps take advantage of the attractiveness of “pure Android” devices and sign up for Project Treble that will make the updates – which by the way, Sony tends to care more and better than others – are faster and simpler for manufacturers. Another problem that affects Sony is that even though it has long since lost its position of reference in the mobility segment, the prices with which its devices are released are comparatively high. Sony has not yet signed up to that trend of offering phones for more than 1000 dollars, but those that have just presented have a price / performance ratio questionable. In fact it is easy to go to the odious comparisons and compare the 349 dollars of the XA2 with the 229 dollars of the Xiaomi Mi A1 or the 449 dollars of the XA2 Ultra with the 499 dollars of the OnePlus 5T. As on other occasions, these examples of Xiaomi and OnePlus tend to leave almost all the competition wrong, but in the case of Sony the price / performance ratio gets worse, because there is no bet here for that double camera (the XA2 Ultra has it, but curiously he dedicates it to the frontal) and that portrait mode that also seems to have conquered the market. The processors (Snapdragon 630), memory and managed capabilities make that at least on their spec sheet Sony models lose. The odious comparative gap increases. It is true that Sony have gone through worse times in sales and in recent times it seems that they have been able to catch their breath, but the truth is that we all expect much more from the Japanese giant. In the second quarter of 2017 Sony sold 3.4 million terminals compared to 2.9 million in the same period of 2016. The figure improved and gave some margin of maneuver to a company that despite selling less began to recover the benefit. Those sales, however, have nothing to do with the golden age of Sony, those quarters of 2013 and especially 2014 in which their mobiles won and convinced (or at least they did much more than they do now). The company is far from competing with the majors in this regard, and the trend is, at least, worrisome. Related to the section that we mentioned earlier and that talks about the price / performance ratio, it is interesting to see also how Sony deals with the price factor over time. In the article we published in December 2017, we analyzed those price decreases in various terminals, and there was also room to study whether Sony’s smartphones were significantly lower in price during their life cycle. The truth, concluded this study, is that in Sony the pattern is much less clear than other manufacturers, with phones significantly reduced their price (the Xperia X dropped 65% year and a half after launching) and others who hardly did (the XZ Premium has dropped just 11% after more than six months on the sale). That irregular behavior joins those prices that comparatively seem somewhat higher than what Sony terminals deserve for certain users. In this, as in everything, divided opinions, but this factor does not facilitate the work of the Japanese manufacturer. If there is an almost unanimous fault in the whole family of Sony smartphones, that is the photographic quality of their phones. The cameras are never bad, of course. The problem is that they are not as good as one would expect. Especially when Sony is in charge of manufacturing the most used image sensors in the entire market. Virtually all manufacturers in the market have used or use one or more of these sensors in their smartphones, and the irony is that they always seem to work better on other phones than Sony. How is it possible? We saw it once again in our recent analysis of the Sony Xperia XZ1 Compact, which despite its Exmor RS 19-megapixel f / 2.0 sensor still did not fully convince us of those tests. Improvements like that mode of super-slow camera of the XZ Premium are striking, but they are almost anecdotal when the photographic quality of these phones is still not up to the best of the moment. The problem is not only in the way that Sony has to integrate its cameras, but also in its way of taking advantage of them, with its own application that does not seem to know how to take advantage of this fantastic optics. Here the effort in the field of computer photography seems nonexistent for a Sony that seems to be increasingly distant from the referents in mobile photography, instead of being closer and closer. At the blacksmith’s house, as I said, stick knife. It is painful to see that a giant like Sony continues year after year without hitting the key on their phones, and although it is true that we have focused on the negative, it is also important to talk about some of Sony’s successes. The company has been the only one in defending those compact phones with which we lived in the early days of the smartphone era, and its Xperia Compact range has always been the alternative for those who love short diagonals. To that bet for an increasingly smaller market niche are added other lights, such as that obsession with maintaining the physical button of the camera -other phones allow it to do so, but assigning that action to volume buttons, for example – or an always interesting balance in the field of consumption. The battery life of the mentioned Compact, for example, has always been surprising, although in our tests for the XZ1 Compact the results disappoint us a little. We must also speak well of that ambition in the section of the sound that most neglect and that Sony continues to take care of although here we would also ask for an extra effort as a reference in the world of high fidelity. As in other areas, it gives the feeling that Sony has capacity for much more. 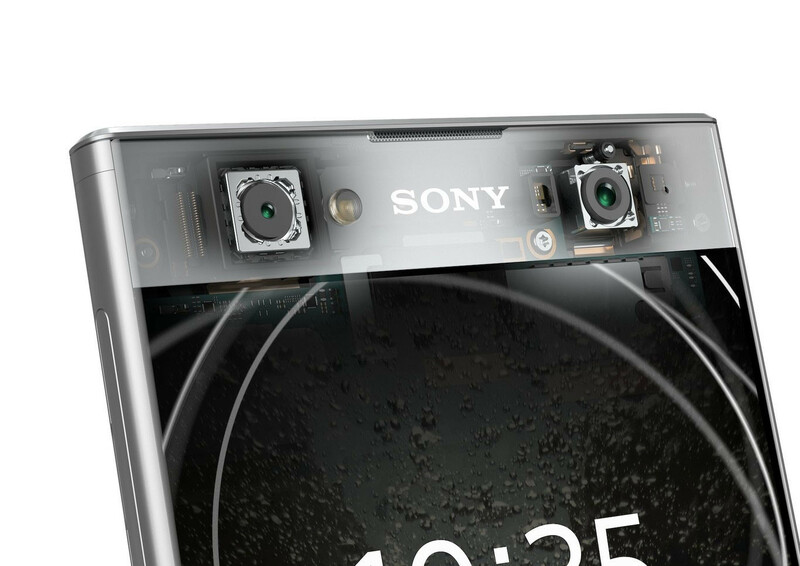 That’s really what we asked Sony: not necessarily to change its design, use a dual camera on the back or put a fingerprint reader under the screen. What we ask Sony is to make a smartphone with which they can finally breastfeed and catch up with the best. One that excites us again and put the company where it deserves.